Its Official……Dec. 1……Texas Sunshine…. – …………. ''AND LET THE FUN BEGIN''…………….. Yesterday was a beautiful day. Nice and warm with rays of sunshine. But fall is in the air. That darn grass just keeps growing. Tomorrow we have to mow and bag it. It just keeps growing with all the rain and nice weather we’ve had. 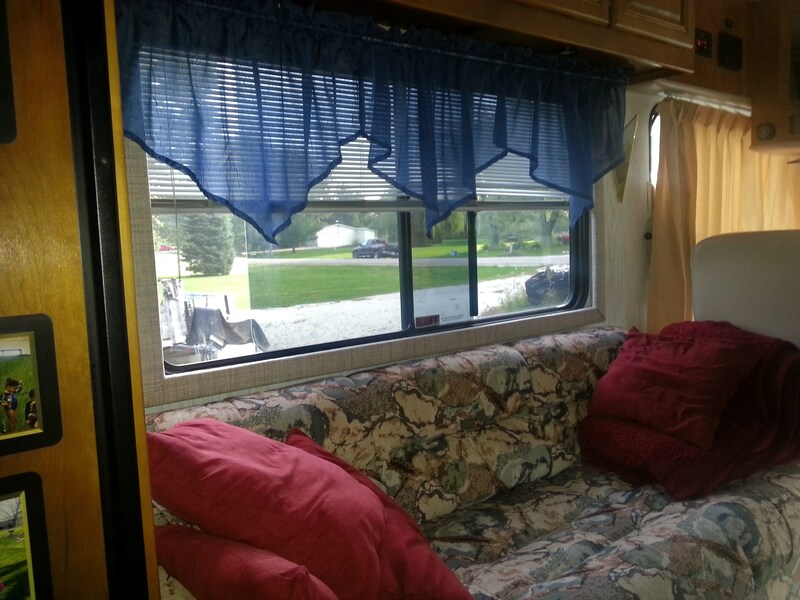 But the best news is………….I talked to the RV and Mobil Home Park that we will be staying in this winter. Its OFFICIAL….We will be Workampers this winter……Yahoo………. I will be working in the office….yahooooo….and Rich will be Maintenance. So excited. So after Thanksgiving dinner we will be leaving and heading south for the winter, down to Harlingen Texas. It is in the Texas Rio Grande Valley. Not far from Mexico. Rich officially gave his notice at work yesterday also. So by the end of the month, he will be retired, and waiting for his first SSI check….Never Dreamed that this day would come. I’m still working my 2 days a week, but it is so nice now to get up in the morning and not rush. It won’t be long and it will be like this everyday. Rich can’t wait. They are working him so hard. The company that he works for hauling the US mail is so short on drivers. Wouldn’t you think in this day and age when everyone is needing a good job, they would be able to find good employees? It seems not. Some of the ones they do hire are really questionable……. lol……But soon he will be free also….lol…..We will be making another trip to Social Security to sign him up and then his Medicare starts Dec 1. Unfortunately, I have to buy some gap insurance when I quit work as I won’t be 65 until next Aug. But that’s a small price to pay for ……FREEDOM…..
Also yesterday I took my sewing machine out to the MH and sewed my curtains. 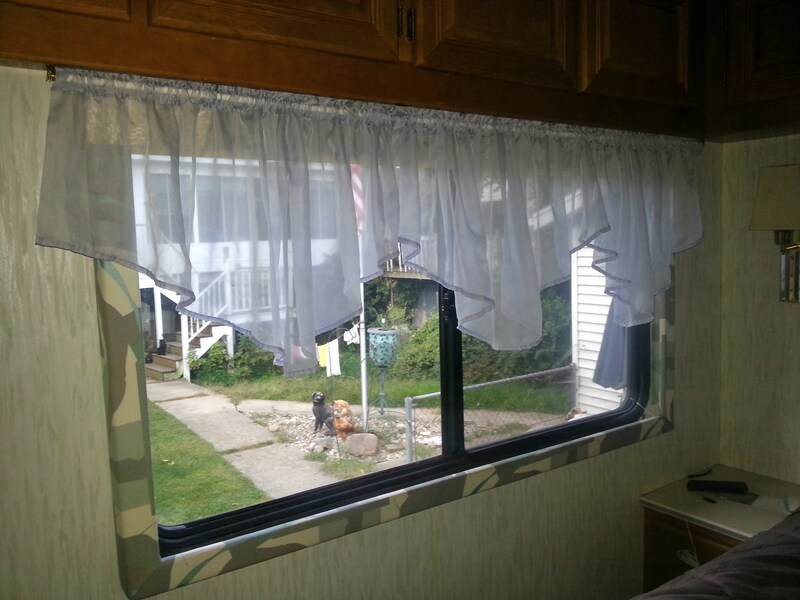 I just had to have curtains to make it homey. 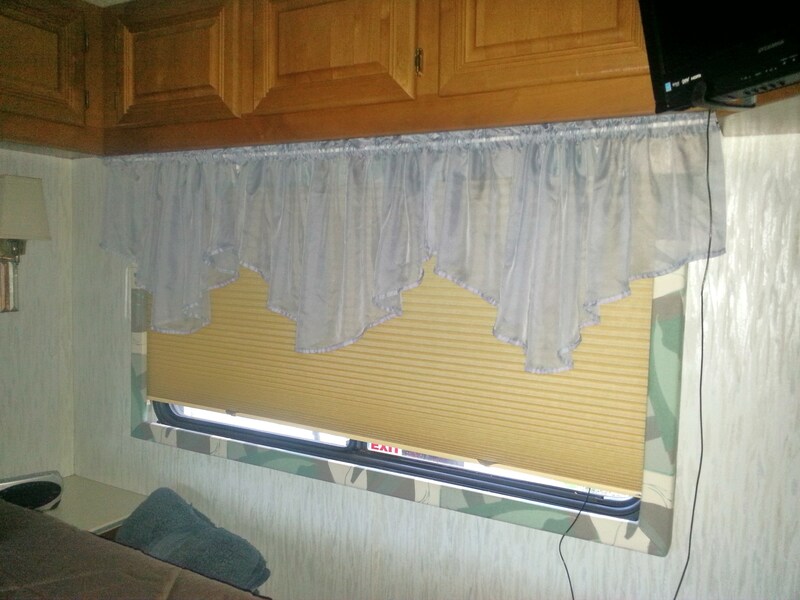 Rich really didn’t care or understand, but when he wasn’t around, I ordered valences from Penneys and put them up….hahaha…..I usually get what I want. I just do it my way…..lol……I had to have them to make it look like home. I took the ones from my dinning room and put them in the Bedroom. So now I’m happy. Now the ones I ordered from Penneys I liked but they didn’t have a header at the top of the valence. And I might add , they were to long. So Easy Fix. 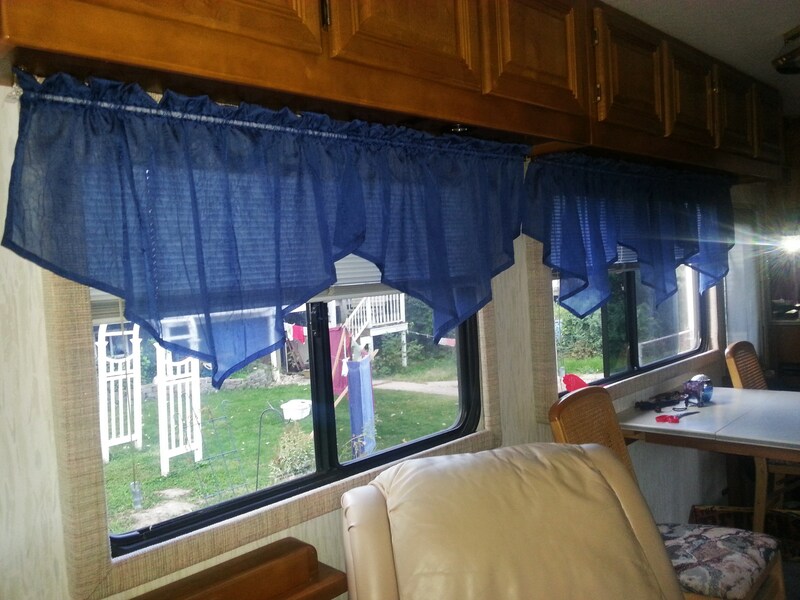 I folded them over and sewed a nice substantial header at the top….and they are also shorter now…They look more like valences than curtains. Now I’m really happy….lol…They look much more professional…. We love the colors blue and red….Love those bright colors…. These are the bedroom curtains. Could be brighter but they were recycled from my dining room. I’m so happy for you and Rich. I love reading your blog. Can’t wait for Chris to retire. I’m miss are talks. Are you all selling your home? Your certain look nice. Have fun with your all retirement. I will be watching for more blogs. Love ya Margaret. If you play it, it will rattle around in your mind until you leave. Hahahahaha……DAve, I love it….Yes I will be singing it….It will be Rattling around in my mind from now on….till were gone…..haha….Play it for Rich tomorrow nite…Hes in bed already….Thanks….